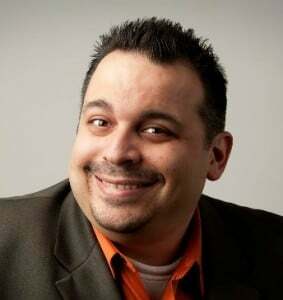 First of all a huge thank you to Joe Morin and Brett Tabke from Pubcon for making this happen. Second a Huge Thank You to the folks from MGM/Mirage, Blue Man Group and Cirque du Soleil for their generosity in donating all of the tickets and for being such a cutting edge company that realizes the influence of the Blogosphere and new media. This program was a huge success at last year’s Pubcon and I was immediately jealous when I saw what they had done. Completely by coincidence Joe and I met about a month ago at New Media Expo and he said we might be able to pull this off for BlogWorld. About three weeks of hard work and organization from Joe and Brett and off we go. 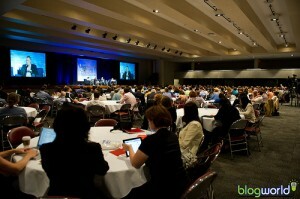 So here is the deal, the tickets are free to all BlogWorld attendees on a first come first serve basis. Every show is certain to sell out so sign up ASAP. I would highly recommend going to the Thursday night showing if you can as there will be fewer bloggers in town then vs. Friday. All the MGM/Mirage folks are asking is that you write an honest review of the show you see. It is not required but if they are cool enough to give you a $100 + ticket I hope you are decent enough to follow up and write the review on your blog. They don’t want puff pieces. They want your honest opinion if you loved it let them know, if you hated it, then explain why. When you post your review, please link back to this post. Between 11 a.m. and 2 p.m. Blog World attendees can ride the coaster for free with their conference badge – up to the first 200 attendees each day. Be sure you bring your badge if you want to ride the roller coaster! 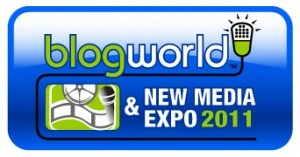 Between 12:00 p.m. and 4:00 p.m. BlogWorld attendees may obtain free admission with their badge. Be sure you bring your badge if you want to get in! Now how do you get your tickets? Go to this website and sign up, you will get an email verifying you have registered. Click the link and log in. You will then get an email from Brett asking which show you want tickets for. Just reply with your request. 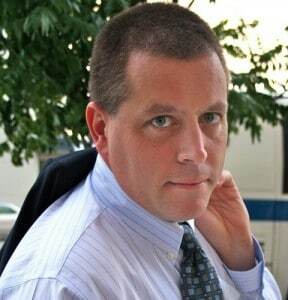 The pubon folks will be at Blogworld Thursday afternoon and all day Friday. You will need to pick up your tickets directly from them. Counting the roller coaster there are over 1,000 tickets available. This is a huge program that MGM/Mirage has put together for us. So if you feel inspired to just thank them in general please be sure and link back to this post with anything like that as well. Thanks for the kudos Rick and thanks for helping out with this as well. Should be a fun event for everyone who makes it out, all told we have over 1,000 tickets to shows and attractions. When should I expect an email from Brett? Registered but nothing back yet. I registered and logged on to Blog Tix several times; I have not received an email asking what ticket I want. I sent them an email which was returned undeliverable. How do I get in touch with someone to select my show? How do I email this Brett person who is apparently supposed to be emailing me? I did everything – -went to the webstie signed up. Finally got the email from bret yesterday. emailed him back but it bounced back as undelierable..never heard back. Guess those 1,000 tickets went unused. Was a great idea — but poor execution. I got an email back from Brett, went to Will Call for Blue Man Grop and then informed me there were not tickets for Blog4tix, bwe, or anything else.